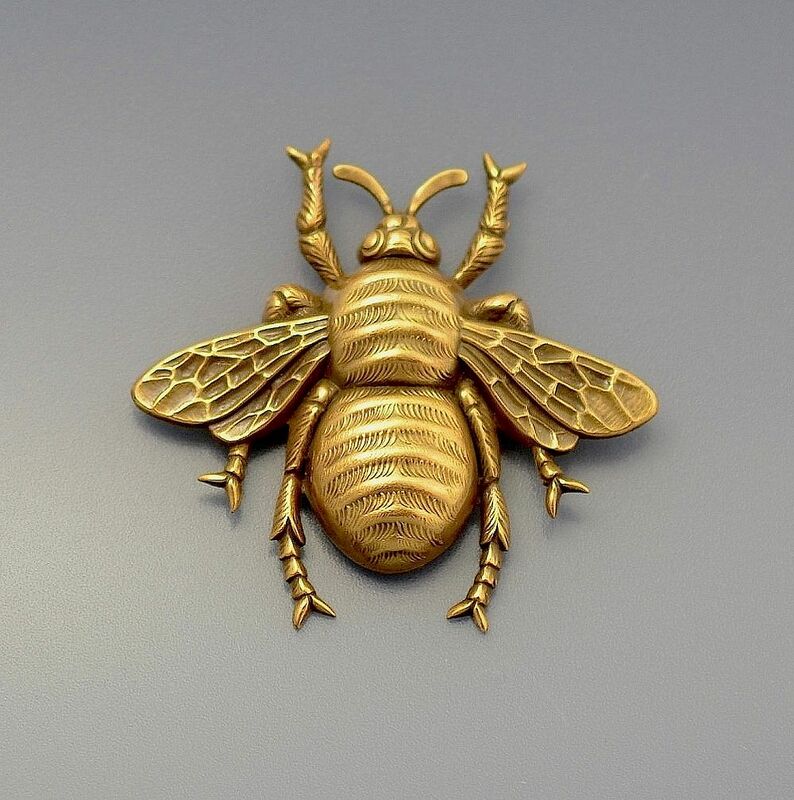 This striking yet simple bronze tone metal brooch by Joseff of Hollywood the American costume designer and manufacturer is in the shape of a bee. 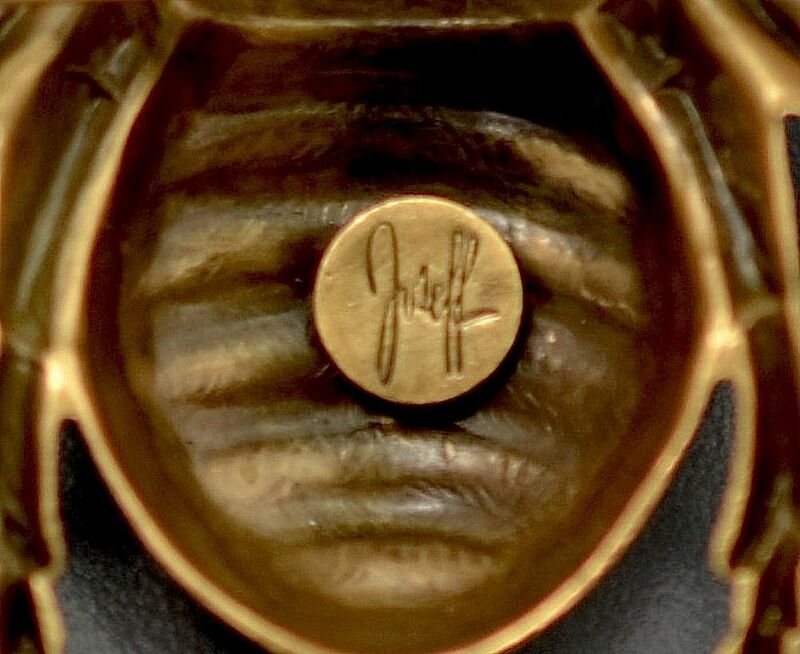 Signed Joseff in script in the rear it was probably made in the 1960s-70s and has a wonderful patina. A great lapel brooch.